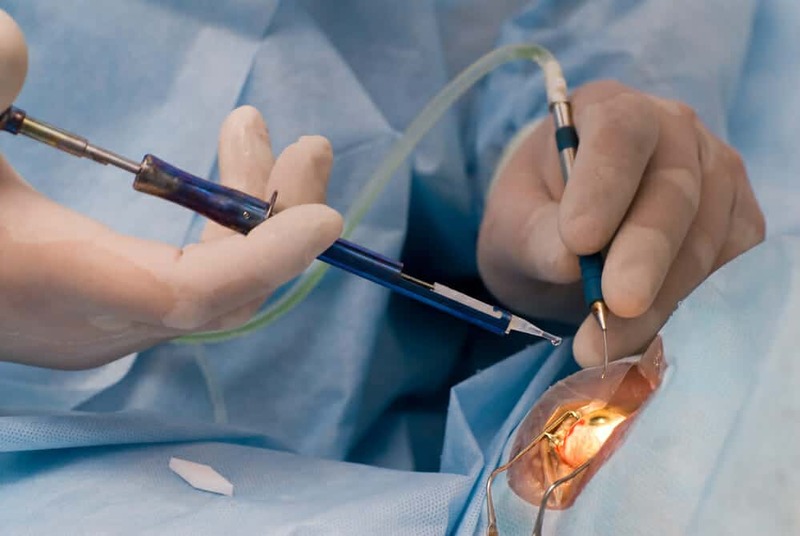 Under or over-correction of refractive power can occur despite the surgeon’s best effort. This is due to individual variation in the healing process and in tissue density. Over-correction is less well accepted than under-correction. While an under-corrected eye can still see well for near without lenses, a significantly over-corrected eye will need glasses to see well for both near and distance. For this reason, most doctors will deliberately aim for a slight under-correction, especially when correcting patients with high myopia. If significant under- or over-correction has occurred, a second “enhancement” treatment can be considered in some cases. However, this treatment is usually advised to be done only after the refractive status has stabilised. This could be anytime from three weeks to three months after the initial procedure. Some patients may experience bothersome light sensitivity and glare or they may complain that they see halos, starbursts and “ghost images” next to the real image. These effects are usually most noticeable at night, especially when looking at light sources such as the headlights of oncoming cars. Patients with naturally large pupils or who had correction done for high myopia are at greater risk. These after-effects can limit one’s ability to drive, work or operate certain equipments. In most cases, the symptoms lessen significantly or go away within six months. However, in some cases, they may persist indefinitely. The LASIK procedure may be aborted because of problems encountered when creating the cornea flap. These include an incompletely cut flap, a completely sheared off flap or a flap with a button-hole defect. LASIK post-operation, wrinkles may develop within the flap or the flap may become dislodged. All these flap complications can cause optical aberrations that are difficult to correct with glasses. There is also a category of post-op flap interface disorders. This includes Diffuse Lamellar Keratitis which is caused by trapped foreign body debris or toxins and an epithelial ingrowth syndrome caused by migration of surface epithelial cells into the undersurface of the flap. In the severe case, the flap needs to be re-lifted, cleaned and repositioned. While severe cornea flap complications are rather uncommon, they can lead to loss of best corrected visual acuity. This means seeing worse after the operation than before despite the best spectacles or contact lens correction. A common cause would be irregular astigmatism arising from de-centred or uneven ablation. The uneven bumps on the surface of the cornea that result from uneven ablation is also known as “central islands”. Loss of best corrected visual acuity can also occur from excessive cornea scarring, cornea haze and flap related complications. Usually, vision improves with time as further healing occurs. Severely affected patients may suffer a permanent drop in their best corrected visual acuity. Fortunately, in most cases, vision loss is limited only to difficulty in reading the bottom few lines of the visual acuity chart. Both the microkeratome and the excimer laser are manufactured and maintained according to the manufacturers’ exacting specifications. However, it is still possible that the machines may malfunction, requiring the procedure to be stopped before completion. In some instances, this could result in loss of best corrected vision. There is the risk that should you need to wear contact lenses after the procedure, they may not fit comfortably. This is due to changes in the cornea shape after the procedure that affect the way the contact lens sits on it. Dryness of the eyes and recurrent cornea surface epithelial cell erosions are other common but non-sight-threatening problems that can occur after Lasik surgery. Nonetheless, they can be a source of frequent irritation.Therefore, frequent instillations of lubricating eye drops are recommended during the first few weeks post-operatively. Severe infection that cannot be controlled by antibiotics is one of the most feared complication of any eye surgery. Fortunately the incidence is rare. It is estimated to occur in less than 1 in 5,000 eyes. When it occurs, it can cause severe cornea scarring, vision loss and even loss of the eye. Therefore, it is important to keep the eye clean, avoid going to crowded, dirty places and to apply the prescribed antibiotic eye drops diligently in the immediate post-op period. In some eyes, the long term use of the anti-inflammatory steroid eye drops commonly prescribed to control scarring can cause glaucoma. Retinal detachment may occur if predisposing lesions, such as retinal tears and areas of retinal thinning, are not detected and treated. Before undergoing a refractive procedure, please ensure that you have carefully weighed the risks and benefits and thoroughly evaluated your own circumstances based on your physical, emotional health, life style and career. Remember, nobody knows your situations more than you do and any advice and suggestions should be for reference only. Make your own decision after collecting as much information as possible. However, it is worth noting that suitable candidates with reasonable expectations are likely to be happy with the results under the care of an experienced LASIK doctor.